We all want to improve ourselves and become our best version. Today, we present 5 apps that can help you in your pursuit for a better self and life. 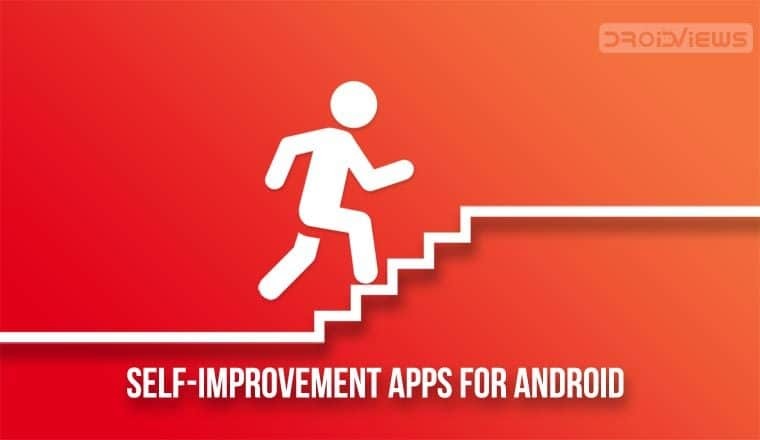 From nutrition and fitness to knowledge acquisition, these self-improvement apps for Android cover most of the aspects of what they are for. A healthy mind is intertwined with a healthy body and nutrition plays a huge role for the latter. This app can help you keep track of what you are eating and does so, with little input from your part. 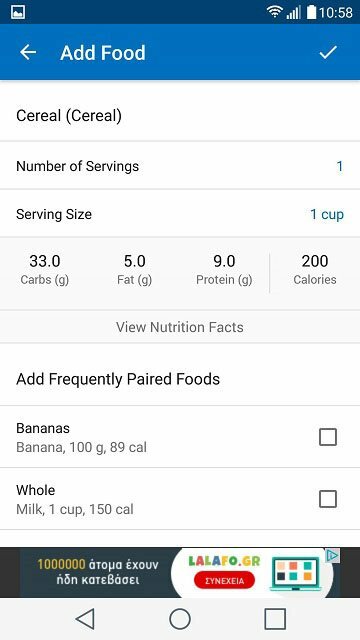 Its scanner feature, let’s you scan the label of the product you are eating and after you provide the app with the portion you ate, it automatically calculates both the calories and micro-nutrients of your lunch. In this way, you are able to meet your fitness goals, whether that means losing weight or gaining some. Ever wondered to add a timestamp to the photos you captured with your smartphone? 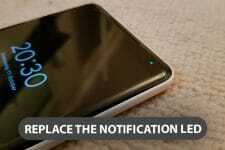 Read our guide to do so on Android. Total fitness is really one of those self-improvement apps for Android that I think you should definitely try. As I’ve already said, our body is the key to self-improvement. Now that we’ve taken care of what we eat it’s time to plan our training habits. 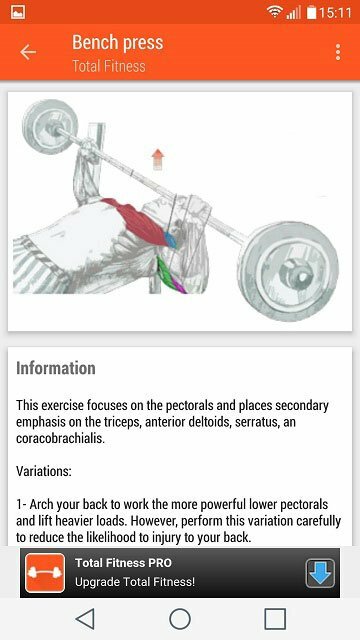 Containing an integrated exerciser guide with examples for every single muscle team, Total Fitness helps you learn how to execute an exercise correctly, minimizing the possibility of an injury. 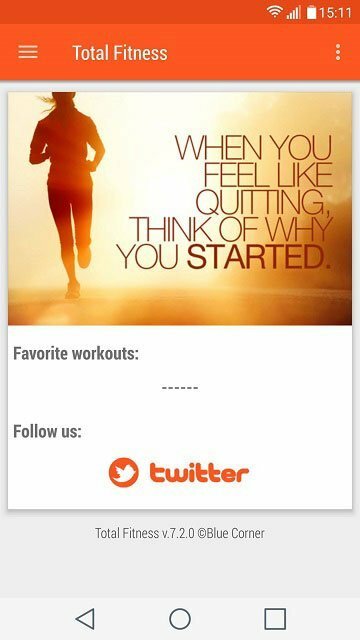 This application also contains guided workouts, challenges, and a workout builder that lets you create your own exercise plan. If you are looking for a good app to monitor your activities, you should check out these best fitness tracking apps for Android. Meditation is a great way to improve oneself. It can help both the mind and the body. It is important for all of us to take some time for ourselves and meditate. Simply breathing in and out, being aware of ourselves helps with stress-relief and anxiety issues. 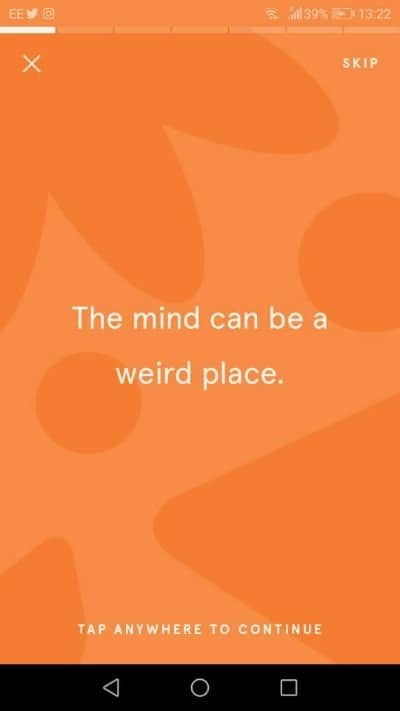 Headspace is a great meditation app that can help both the inexperienced and the veteran Meditators. 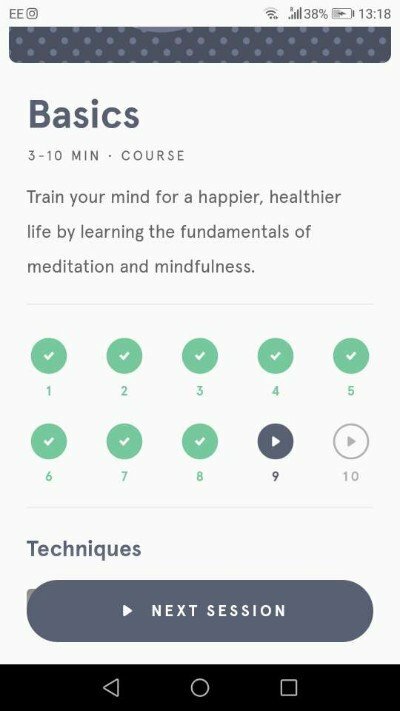 It offers guided meditations that can teach you more than just the fundamentals in categories such as sleep quality, stress and life challenges. Download it now, sit back, relax and breath. 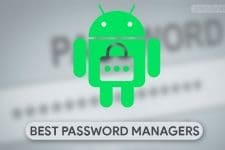 Simple living is a great way to enhance a happy life, but if you want to keep your phone healthy and fast, here are some lightweight alternatives to some of the most used Android apps. 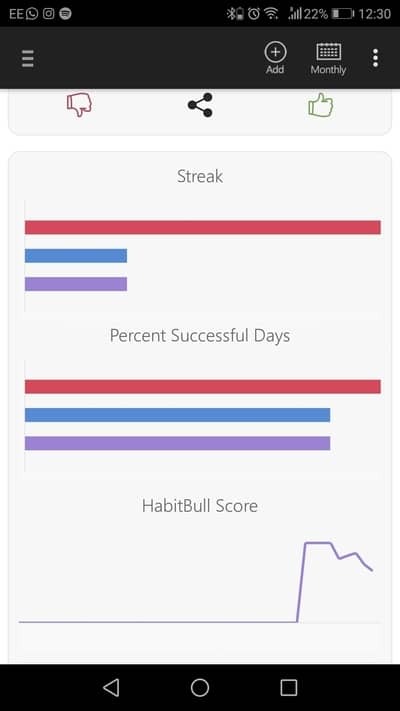 Habitbull is one of the best self-improvement apps for Android. All of the above can be considered as habits you have to acquire and we all know that sometimes this can be difficult. Lucky for you, this app can help you keep track of your progress and present it to you in beautiful charts. 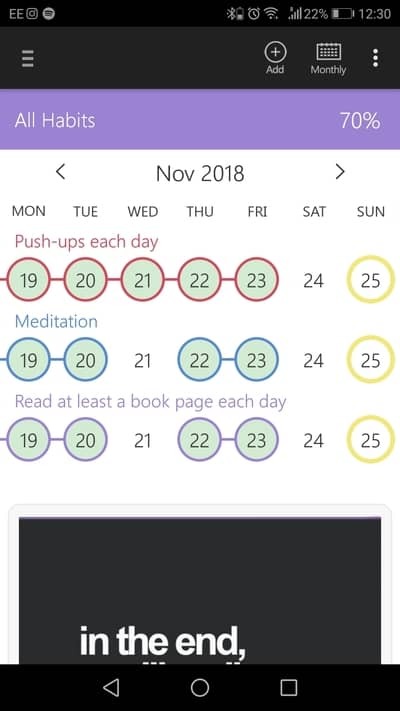 Improving yourself is a process and HabitBull is the one app that can help you keep track of that and organize your next steps. Of course, if you don’t like this app you can try about alternatives for habit-tracking apps for Android. Now that we’ve taken care of our body and we’ve cleared our mind, it’s time to learn something new. 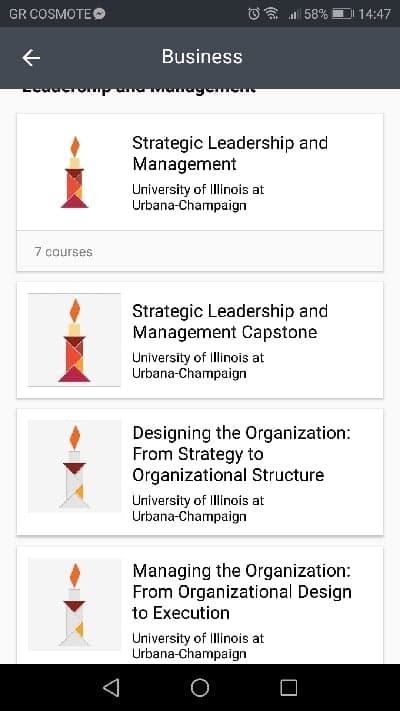 Coursera is a great app that can help you acquire diplomas on many different subjects. 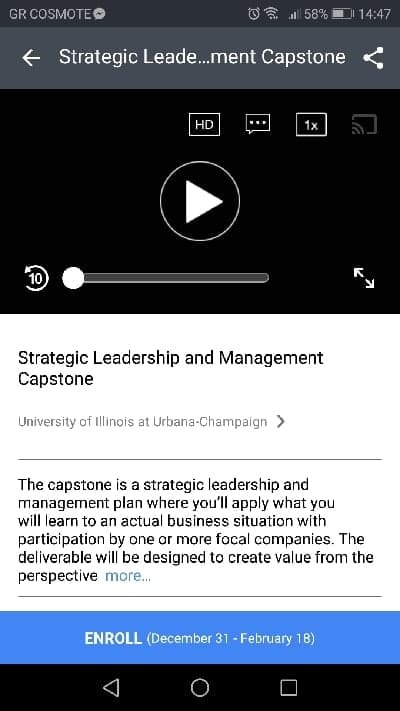 Attend to online lectures (at a time that interests you), get help from professors, prepare assignments and give exams on topics that fascinate you. After you’ve completed a certain course successfully you will be eligible for a certificate from the university that created the course. 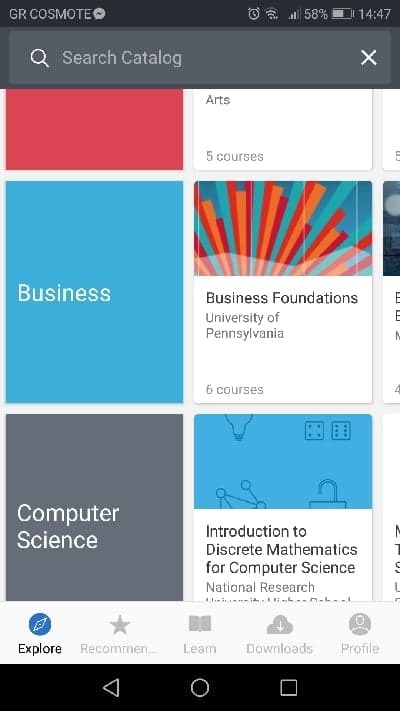 Some of those universities include the University of Pennsylvania and even Stanford. 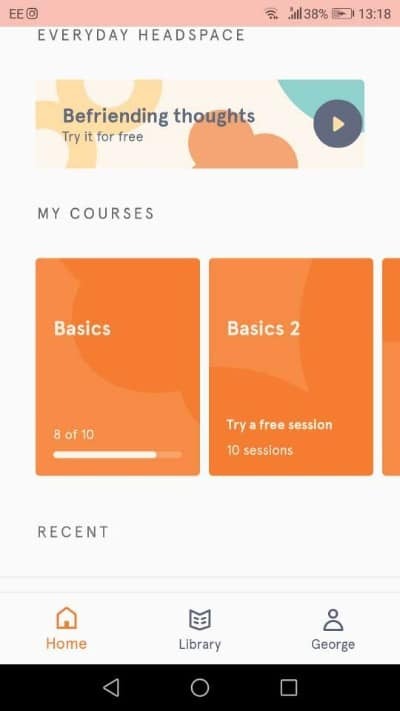 Download the app and start learning. These 5 are the top self-improvement apps I can suggest as of now. Hopefully, these apps will help you reach your full potential. Did we miss anything? If you think so then let us know in the comment section below. Thank you for reading!